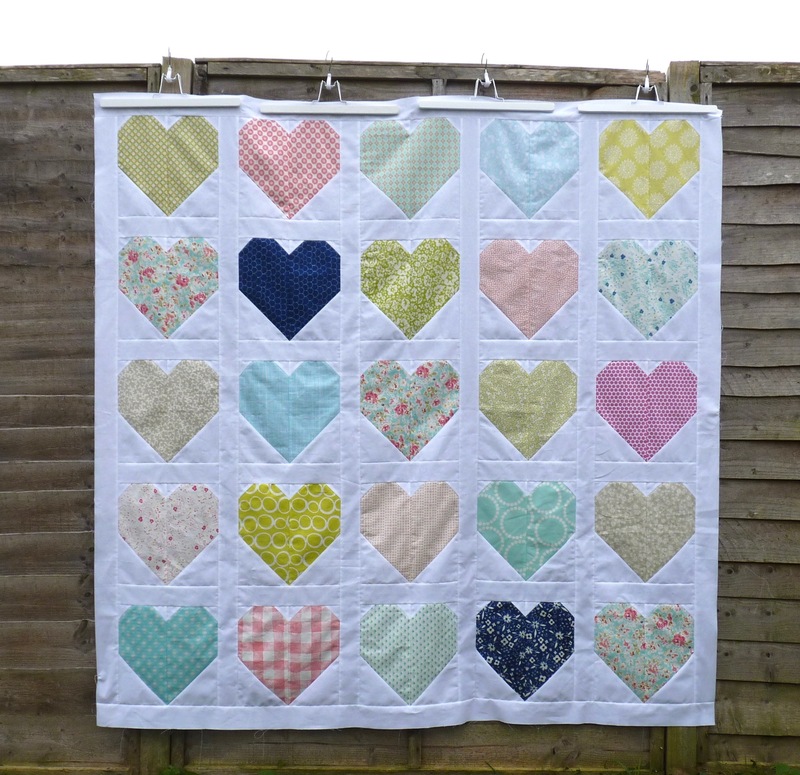 I’ve been wanting to make a heart quilt for ages and finally decided to take the plunge. 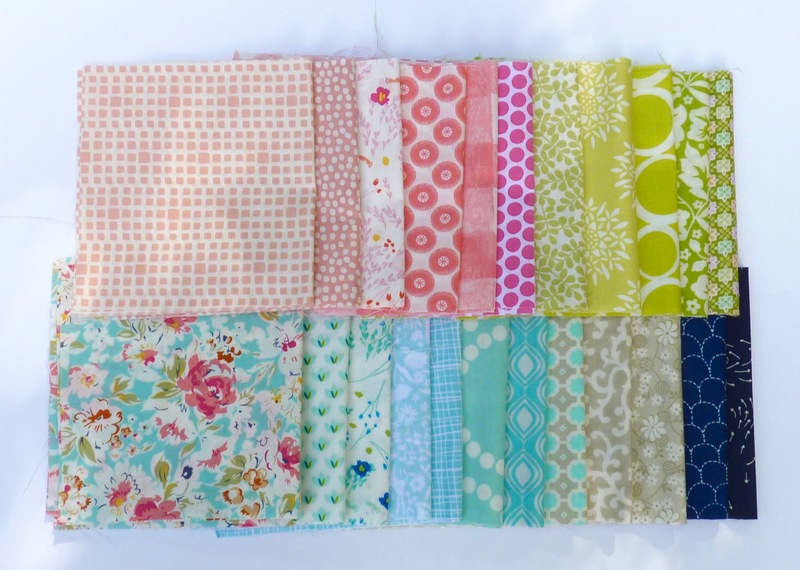 The pretty aqua and pink floral fabric below is the one that I chose as the starting point for my quilt. I then selected other fabrics in co-ordinating colours of pink, green, warm grey, aqua and bright navy. Most fabrics were from stash however I did need to purchase a few more (as if I needed an excuse). 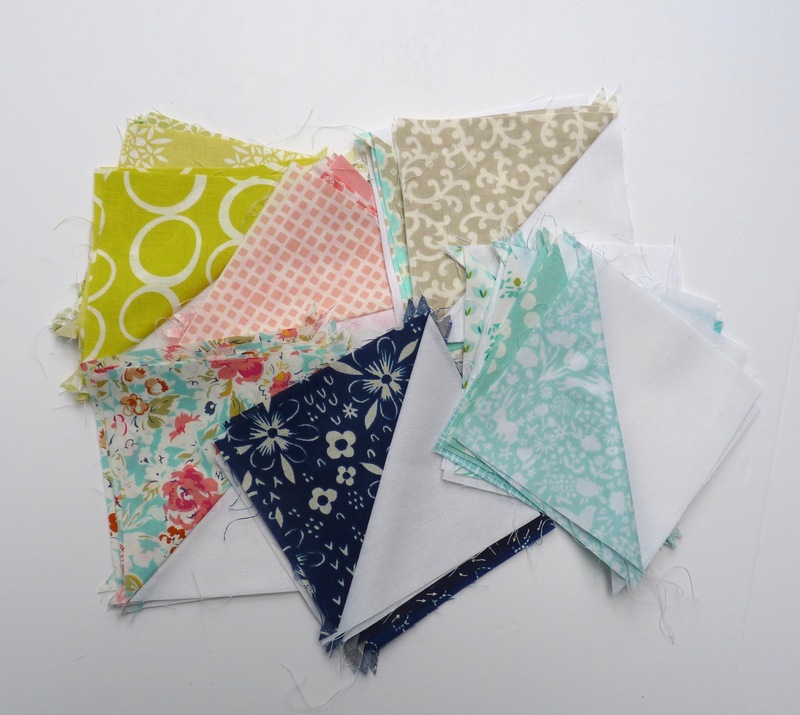 Here are the fabrics that I chose. They look very light and pretty with a really summery feel (the dappled sunlight only adds to the effect). All blocks were made using the heart tutorial by Cluck Cluck Sew. I made the 10 inch block size and separated them with 2 inch (finished width) sashing. This block is one of my favourites. It has tiny footprints as part of the fabric design. For me, it is a visual image of the old saying – “Some people come into our lives and leave. Others leave footprints on our heart and we are never the same”. I didn’t notice this when I selected the fabrics so this is one of those happy accidents – love those! And here is the finished quilt top – finished size about 60 inches square. Photographed on rather a dull, grey day however it still retains its prettiness. If you look closely, you’ll see that I substituted one of the navy fabrics for another with more white in it which I think works much better. 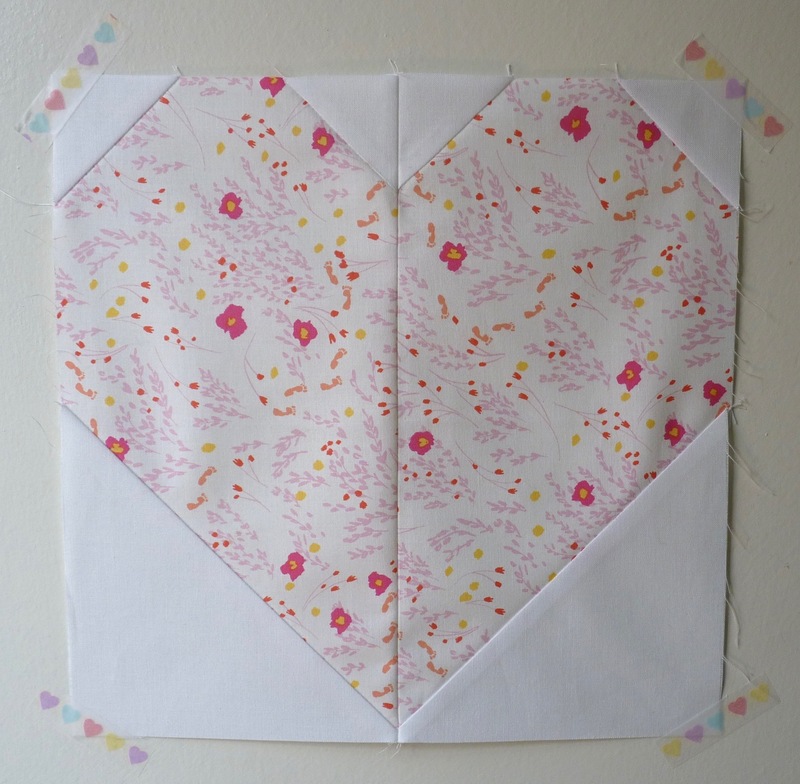 When making the heart blocks, I also took the wise advice of Jeni Baker. In her last newsletter, she recommends making half-square triangle blocks from the off-cuts as you make each block. Initially I was going to save the cut off triangles in a plastic bag, knowing full-well that I would probably never get back to sewing them together. Doing them as I went along means that I now have a stack of half-square triangle blocks ready for another project. Win-win! This is such a pretty quilt Jen, I love it. Thanks Sam. Glad that you like it. It’s that time of year when we need something bright and pretty.